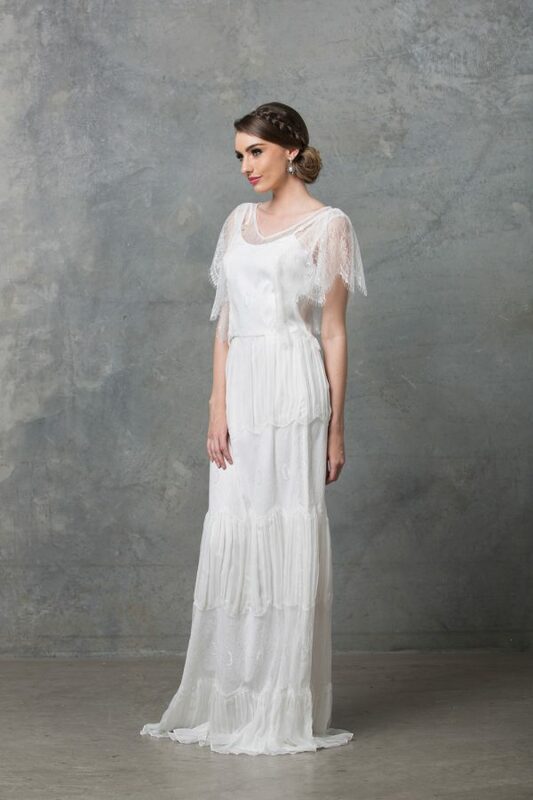 The Miranda wedding dress has a touch of bohemian style with soft draping long sleeves cut with an exposed shoulder for the ultimate boho wedding. Or wear to a romantic getaway. Exude your inner goddess in the Miranda wedding dress, featuring exposed shoulders long bell sleeves. The fine lace detailing along the neckline gives the beautiful dress an elegant touch. 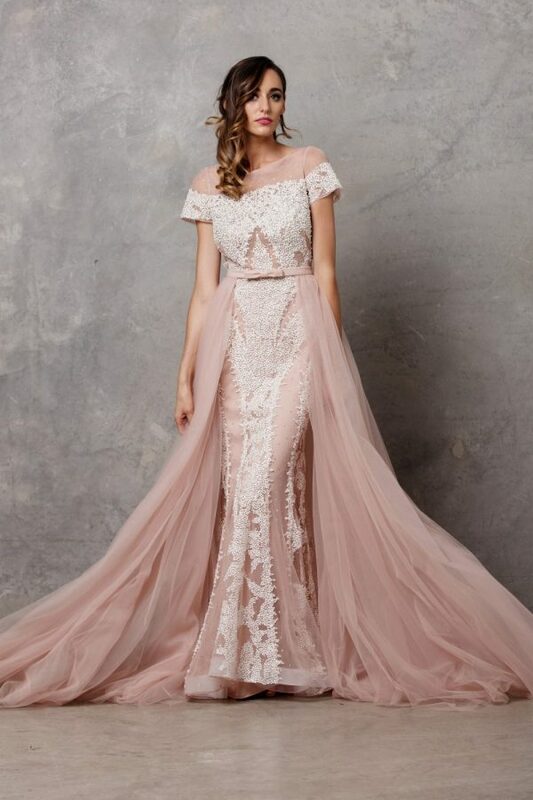 With a sweeping train this mermaid silhouette has a soft romantic fall.